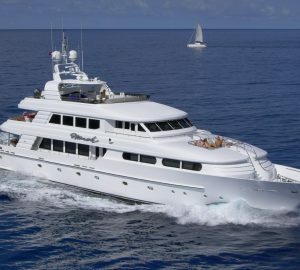 Viaggio is a Horizon 74ft motor yacht, brand new to the Caribbean charter market in 2008. 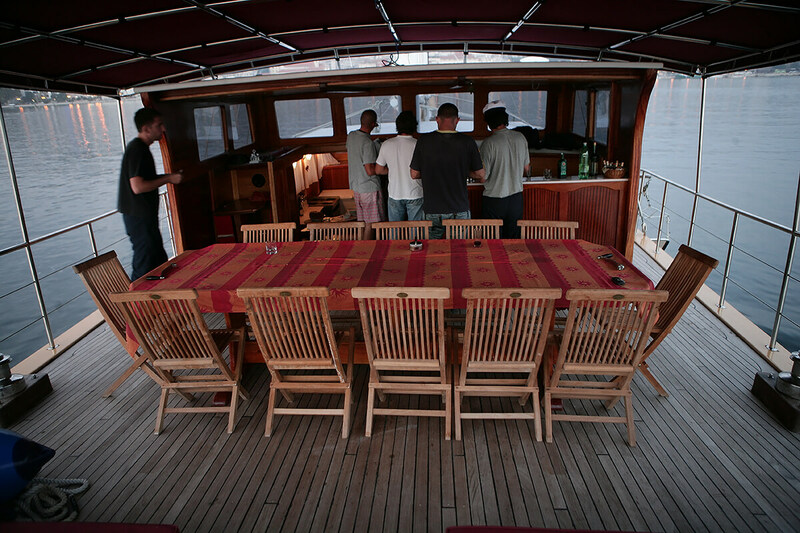 She is designed by John Lindblohm who has exceeded expectations with his finished design. 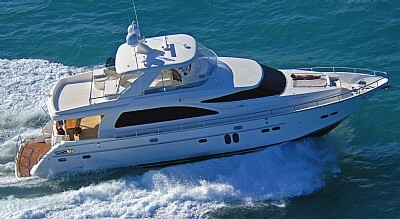 Viaggio is stylish, functional and a very smooth ride under power. During the build, Viaggio’s owner had an extra foot added to the swim platform to make her 74 feet in length and to give her guests more room to access the water and the yachts extensive collection of toys. 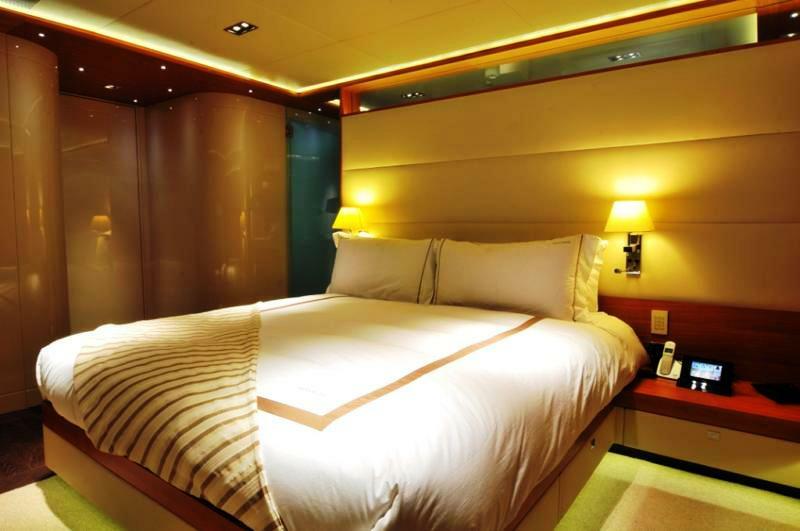 Viaggio offers three staterooms including a huge master cabin with his and her amenities in the bathroom and a large VIP cabin in the bow. Along with many other features, there is an large flat screen television in the saloon, a complete office, array of DVD’s, surround sound system and many more state of the art gadgets. 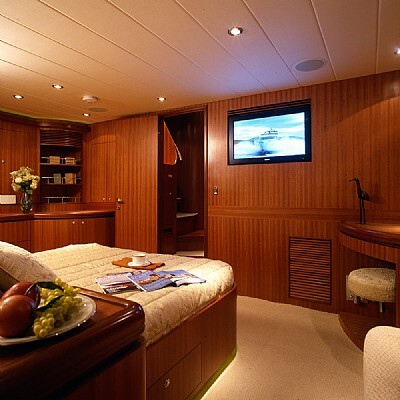 A truly innovative electrical control room aft of the engine room is reminiscent of a 100 foot yacht. The oversized swim platform makes water sports easy to enjoy and the water-tight transom pantograph door gives secondary access to the aft crew accommodations and engine room. 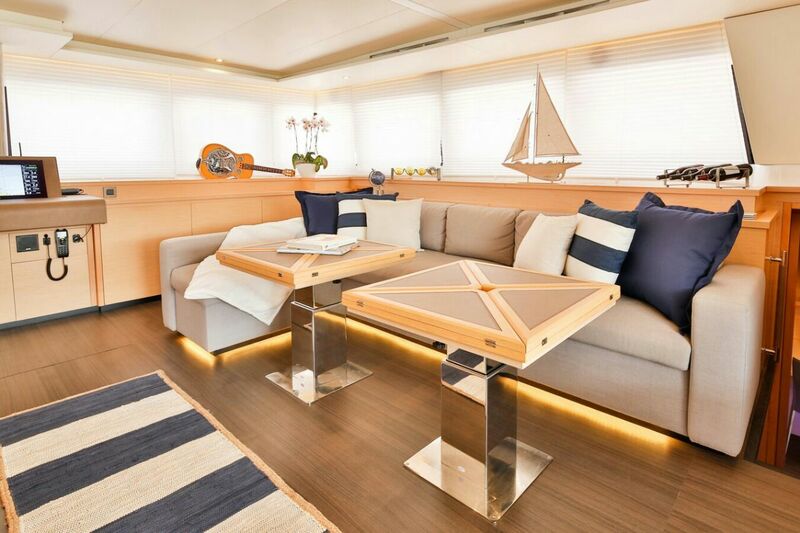 Full walk-around side decks give easy access to the forward seating and sunbathing area. From the expansive aft deck the sweeping aft deck staircase gives safe passage to the fly-bridge for entertaining around the seating and BBQ area. 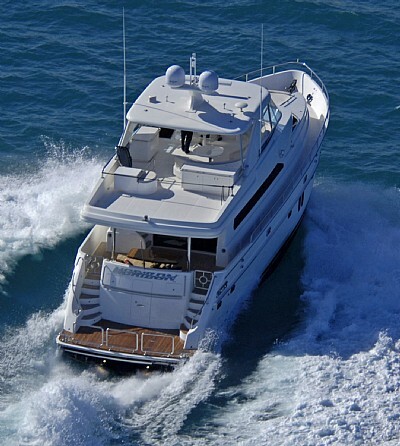 She has all the toys one would expect including wakeboarding and waterskiing and her friendly and professional crew will be on hand to ensure that your experience on Viaggio is one that will exceed all of your expectations. 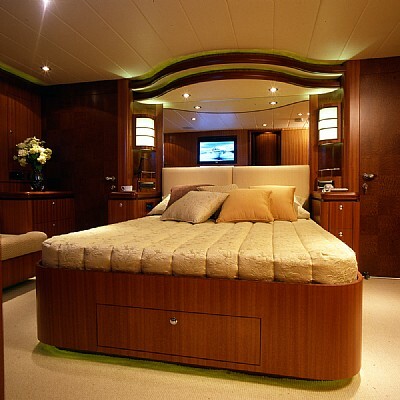 Viaggio’s master cabin is spacious and features a huge bathroom with his and her amenities. The two other guest cabins share direct access to the 2nd bathroom which is also spacious and luxuriously appointed. 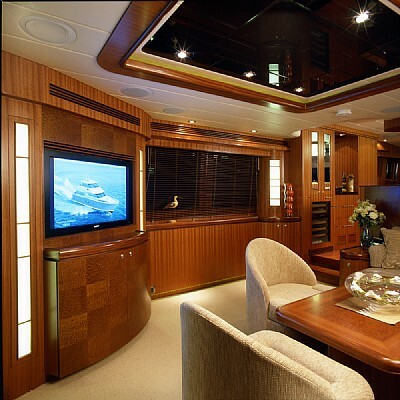 She has a huge saloon area with flat screen TV and also features a separate office area. 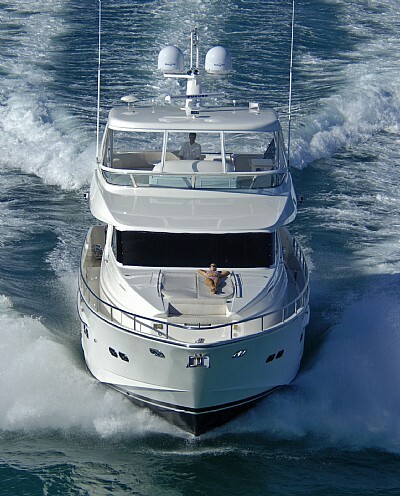 Viaggio comes with a tender suitable to tow adult water skiers, wake-boarders, tubing. Snorkeling equipment and an array of other water-sport equipment is also included.